We learned that on Saturday, May 4, cancer claimed the life of Cascade Anderson Geller, a deeply respected and much beloved member of our community and a leader in the field of herbal medicine. Natural medicine has lost a true visionary, and many of us have lost a very good friend. Cascade inspired thousands of healers with her wisdom about plants and herbal medicine, which she developed over a lifetime of passionate study. It was Cascade’s mission to teach what she loved and lived, to share her deep wellspring of knowledge about the healing power of plants, and in so doing she helped all of us better understand and honor the traditional roots of medicine. Cascade was a graduate of the herbalist program at Dominion Herbal College in Vancouver, B.C., but she became immersed in plant medicine much earlier. She was raised in a family whose herbal knowledge went back several generations. After graduation, Cascade’s passionate desire to learn about the plants she loved led her to study traditional healing methods throughout the world, from England to Nepal. Cascade had a long history with NCNM. 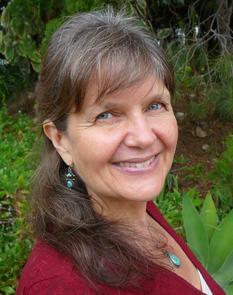 She joined the NCNM faculty in 1979 after giving a guest lecture about herbal medicine. She became chair of the Botanical Medicine department, teaching at NCNM until 1992. Cascade’s passion for plant medicine ignited generations of NCNM students to cherish it as she did. She was awarded the prestigious NCNM Teacher of the Year in 1985. In 2012, NCNM awarded Cascade a Doctor of Laws degree for her lifetime of contributions to the field of botanical education. Cascade’s name became synonymous with botanical medicine and herbalism. She helped jump-start the botanical medicine programs at Bastyr University and Southwest College of Naturopathic Medicine in the 1980s and 1990s. She was a consultant for the American Herb Association, a founding member and advisory board member of the United Plant Savers, and a founder of Everett House Healing Center (now known as Common Ground). Until the end of her life, Cascade consulted with a wide range of practitioners about herbal therapies and frequently lectured at conferences throughout the world. NCNM and Traditional Roots Institute shares its deepest sympathy with Cascade’s family, her husband Elliot and her children, Ayala and Lance. We share our sadness, too, with Cascade’s large extended family within the NCNM community and beyond.